Get $10 off our 12 Pack Shots today! 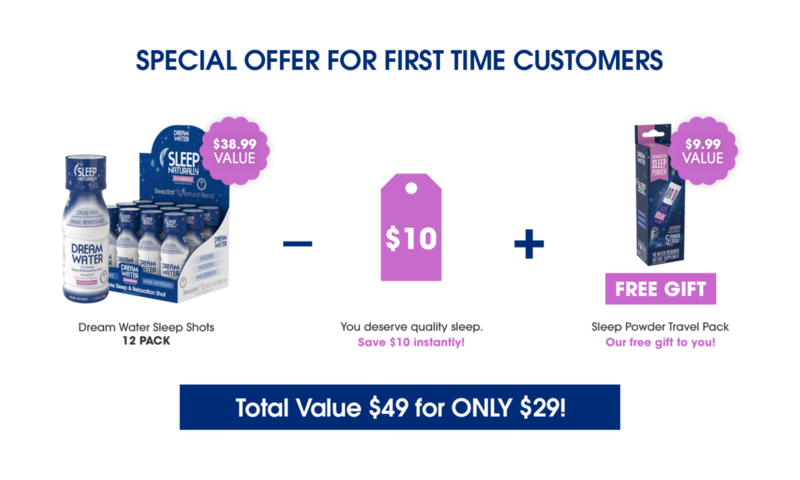 BONUS: FREE Sleep Powder Travel Packs, valued at $9.99! 0-calorie, sugar free, natural, kosher, gluten free, non-habit forming, and fast acting. Scientifically formulated, our SleepStat Natural Blend of Melatonin, 5-HTP, and GABA can help you fight occasional sleeplessness by helping your body adjust its natural sleep cycle. FREE Sleep Powder Travel Pack! Convenient and great tasting, get the rest you need whether on a plane, on a train or bus, or wherever life takes you. No water required! Take it like a candy stick! The discount is only available for one 12 Pack Sleep Shot per customer. however you'll receive it in your order.